"I would not allow creating the image of Ukraine as an anarchic state." 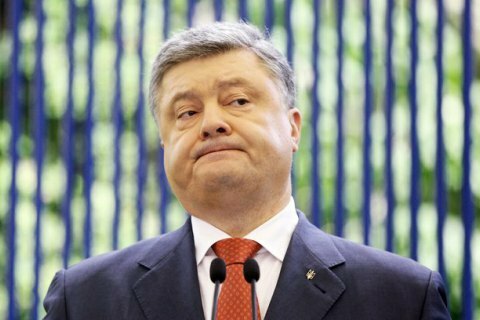 President Petro Poroshenko has suggested that Ukraine should not abandon anthracite coal extracted in the uncontrolled territories. "Ukraine will pursue further diversification of the sources of supply of thermal coal, without forgetting that coal mined in the occupied territories is also Ukrainian, and should have its share in the energy balance," Poroshenko said Thursday. The president said that Ukraine would find ways to restore coal supplies. "I will not let demagogues create the image of Ukraine as a state where anarchy reigns, and will not allow for destabilization in the antiterrorist operation zone, will not allow the front to be demoralized. This is exactly what the enemy expects," Poroshenko said. Late last month, a group of MPs and political activists blocked the railway links used to transport deficient coal from the temporarily occupied areas of Donbas to Ukraine’s thermal power stations. The supplies were halted on 10 February.